AGR Diamond Tool Dealers service customers and generate revenue in several ways. Income is generated thru route sales, on-site construction sales, sales to natural stone yards, thru consignment and retail agreements with construction supply stores and thru large general contractors and sub-contractors. Most dealers operate their business from their home. 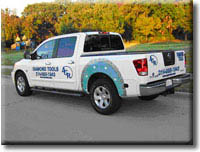 We recommend dealers use a van, truck, trailer, or SUV to deliver products and service customers. AGR Diamond Tools is committed to providing all our distributors with unlimited training and support. We are there to support you every step of the way. You will go thru product and sales training at our training facility in Texas and have total and complete access to our product specialists and engineering team. 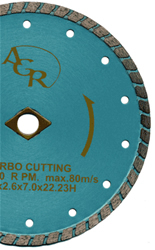 AGR DIAMOND TOOLS USA, Inc., founded in 1983, has dedicated more than 20 years to mastering the development of the world's finest diamond tools. We are a global leader in the manufacturing of diamond tools and adhesives. We specialize in producing consumable tools for the natural stone and construction industries. Our goal is to provide our clients with superior quality products, excellent customer service, and the most competitive prices in the diamond tool industry. We have achieved our goal through years of extensive research, testing and by utilizing the latest technologies to assure AGR Diamond Tools is at the forefront of the diamond tool industry. We employ some of the world's top scientists, engineers, and metallurgists to produce the highest quality diamond tools. AGR Diamond Tool Dealers control a specific territory and stock sufficient inventory to service customers locally. Because diamond tools are consumable, contractors must purchase them repeatedly as they wear out. As a distributor for AGR Tools, your mission is to service your customers and continually sell them diamond tools for their construction projects. It is about building long-term business relationships with your customers by understanding and anticipating their diamond tool needs. You will sell only the highest quality products that have huge demand, no franchise fees, unlimited income potential, a protected territory, the opportunity to take advantage of the hundreds of billions of dollars in infrastructure spending, and the satisfaction of running your own business. Take control of your future - become an AGR Diamond Tool Dealer today! Prosper from the Largest Amount of Government Spending in History! AGR Diamond Tool Dealers are poised to reap huge profits from the hundreds of billions of dollars in infrastructure spending. Exceptional training and support provided. Sell high quality consumable products that are in high demand. Be a part of the multi-billion dollar diamond tool industry. 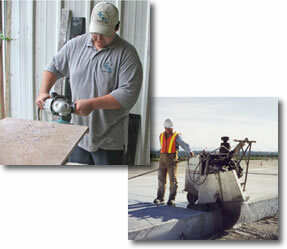 AGR DIAMOND TOOLS manufactures diamond tools that are needed to build and maintain roads, bridges, runways, flooring, and buildings of all types. With the hundreds of billions of dollars that are about to be allocated for infrastructure spending, AGR Diamond Tool Dealers are strategically positioned to reap the profits. As an AGR Diamond Tool distributor, you would call on and service construction contractors in the vast and expansive natural stone industry - which includes concrete, brick/masonry, granite, marble, engineered stone, and other natural stone contractors and fabricators. Some of the types of tooling you would be distributing include diamond blades, core bits, cup wheels, router bits, CNC tooling, grinding stones, polishing pads, and hundreds of other products we manufacture. As long as people build or demolish, they will have to buy the types of products that we manufacture. Without our products, 90% of construction would not be possible. From concrete contractors on building and road projects to brick and masonry contractors to granite countertop fabricators to natural stone tile contractors to floor maintenance contractors to landscapers to home remodelers to local construction supply stores to stone and slab yards – you will never run out of customers to call on! CO, GA, MA, IN, NJ, NV, OR and VA or anywhere outside the US. Interested applicants must have at least $30,000 liquid capital to invest. Click on Request Information button above for FREE information on how to start a AGR Diamond Tools USA franchise today! Please Note: AGR Diamond Tools USA opportunities for sale, and other franchise opportunities, business opportunities, businesses and franchises for sale on this web site are not to be considered as an "offering", "franchise offering", suggestion or recommendation by GlobalBX. The franchises, businesses and business brokers seen on this web site submit their own individual content. This advertisement depends entirely on the truthfulness of the information provided by our advertisers which includes, but is not limited to, franchisers, franchises, franchise brokers, franchise consultants, business sellers and business brokers. As always, GlobalBX recommends that you consult a lawyer, financial consultant, accountant or professional advisor before buying a franchise or business opportunity or any type of business. By submitting this form and requesting more information, you have agreed to all terms and policies of GlobalBX and the business and franchise offerings listed here. Please review our Terms & Conditions for more information.